Based in Yongkang, China, we are regarded as one of the best manufacturers, exporters and suppliers of Magnetic Drill (TK-16). 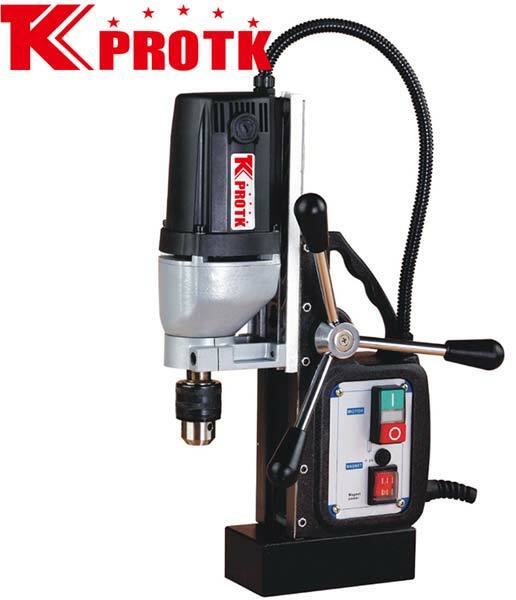 This Magnetic Drill is offered with a twist drill of 2.5-16mm and no load speed of 595RPM. The electric data specification of the Drill is 230V/50Hz/1200W & 120V/60Hz/1200W. The Magnetic Drill comes with a magnetic adhesion of 13000N. This 160*80*50mm sized Drill weighs up to 13.5kg and is offered by us in secure iron and plastic box packaging of sizes 48*15*37mm and 57.5*17.5*46cm respectively.